Note: Your device must be a 3G, 3Gs, and with a 4.0+ iOS. 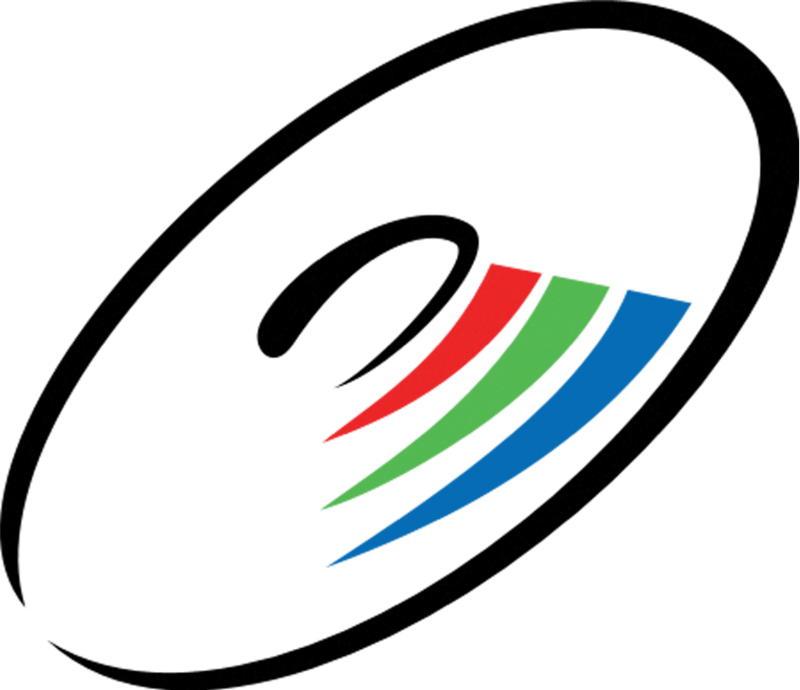 IMPORTANT: Before we get started, please be sure your administrator has purchased you an Activesync license and assigned to your email address. 2. 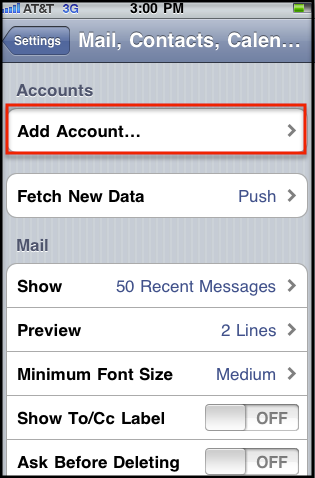 Next, tap Mail, Contacts, Calendars. 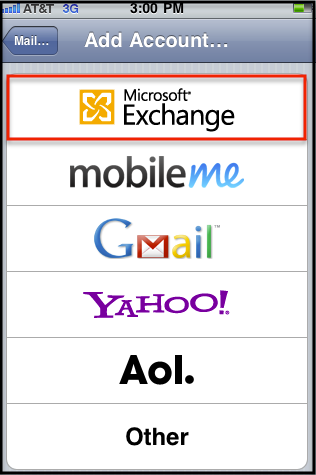 Add Account then Microsoft Exchange. 3. Tap Add Account then Microsoft Exchange..
Email - Enter your entire email address (e.g., myname@mydomain.com), using all lowercase letters. Username - Enter in your entire email address. 5. Tap the Next button and the device will attempt to verify the account. You may receive an "Unable to Verify Certificate message," go ahead and Tap the Accept button. 6. The device will than continue verifying the account. 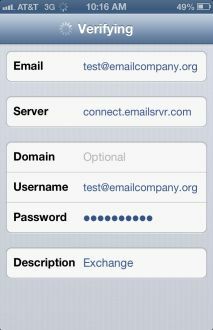 Once complete, tap the Server field, and enter in "connect.emailsrvr.com" minus the parenthesis. 7. Tap the Next button and the device will then try to create a secure (SSL) connection to your Exchange server. 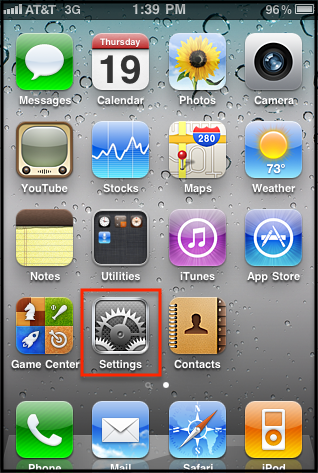 When connected, you'll see check marks along your settings to confirm that your account has been verified. 8. Tap the ON/OFF buttons to select which information to synchronize with the Exchange server and then tap the Donebutton when finished. 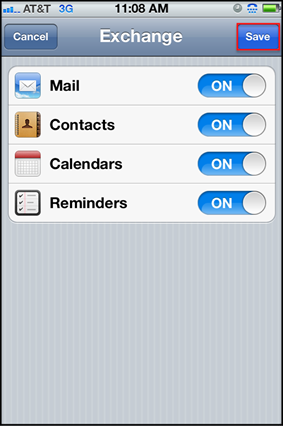 Note: Your iPhone may take a moment to sync all your information depending on how much you have on the Exchange server. 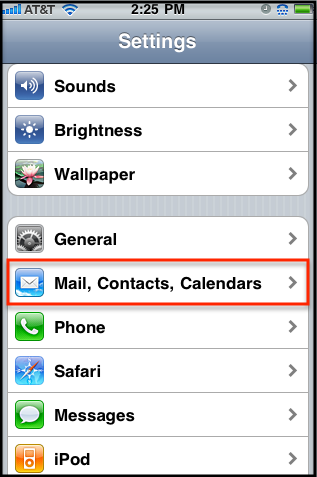 To learn more about the mail settings on your device tap Settings from the home screen, than Mail, Contacts, & Calendars and than select your account. You'll be able to customize how much data you would like to sync from the server.